The little chick you all know and love has got something new to chat about this time. Mila has had it with her twin sister Emma's overuse of hashtags to the point where she appreciates her brothers...GASP! Things must be bad...Katie Stauffer, your girls are a hoot! When one little girl can't sleep she picks up the microphone and sings her little heart out. 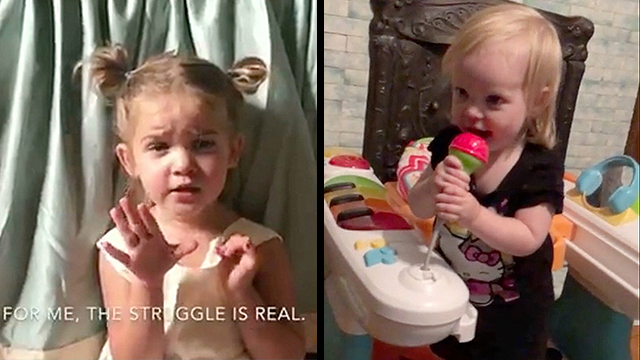 Belle, the 18-month-old star loves to sing along to music and movies. Hey, if you've got a voice then don't be afraid to belt it!